Thanks to the Silver Age, superheroes are bigger and badder than ever. 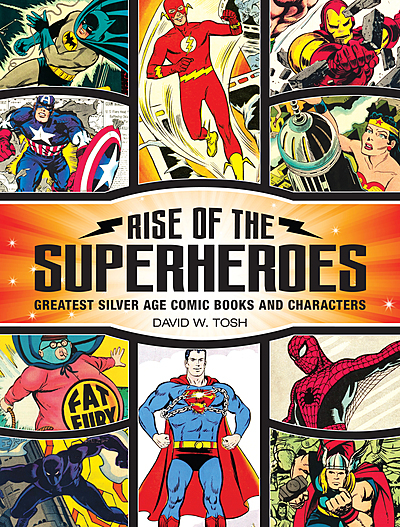 Rise of the Superheroes--Greatest Silver Age Comic Books and Characters is a visual and entertaining adventure exploring one of the most popular and significant eras of comic book history. From 1956 to 1970, the era gave us Spider-Man, The Avengers, X-Men, The Incredible Hulk, Iron Man and a flurry of other unforgettable and formidable characters. 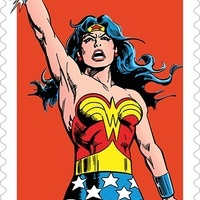 The Silver Age redefined and immortalized superheroes as the massive pop culture titans they are today. 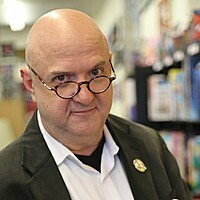 David W. Tosh has been an avid fan of comic strips, animated cartoons, and comic books for most of his life. Since 2003, he has been a cataloger for Heritage Auctions in Dallas, Texas, specializing in comic books, original comic and animation art, and vintage rock posters. He and his wife, Sonia, live in Mesquite, Texas. A must for any superhero fan!